The wedding details mean everything – they can literally give a whole new look to your big day! This kind of small decorations can catch the attention of every guest in the room and let’s face it – we all want to see our guests enjoying the best possible atmosphere a wedding can have. 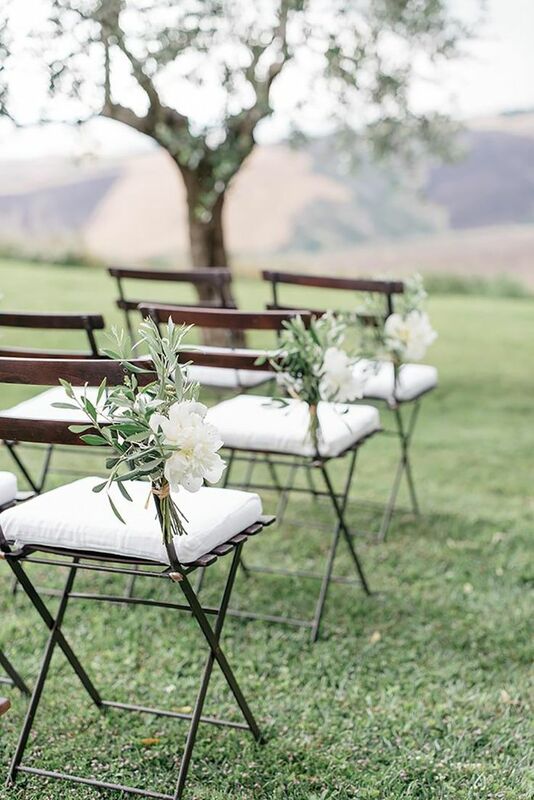 In this article we are showing you ten ideas on how to decorate the wedding chairs. All examples are simple, yet very elegant – we fell in love with all of them, how about you? 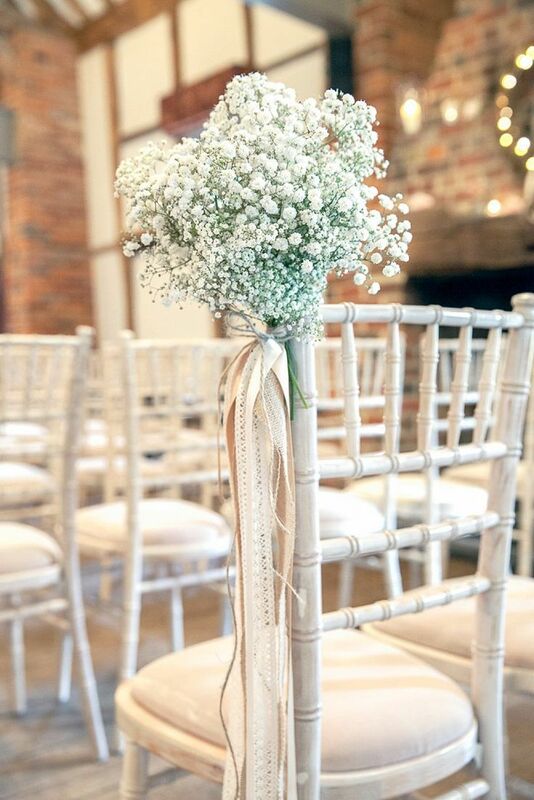 The baby breath is a delicate flower that symbolizes everlasting love and purity, so it’s no wonder why it is one of the most popular choices regarding weddings. There are many ways to use it as decoration, from using just a tiny branch of the flower, to having a whole bouquet of it. Attaching a bouquet tied with a ribbon or lace is very elegant and gentle decoration. The burlap is mostly used for creating a rustic atmosphere at your wedding party. It’s even better if you combine it together with the baby breath. This kind of decoration would make things oh so charming, and it’s nothing complicated to achieve. 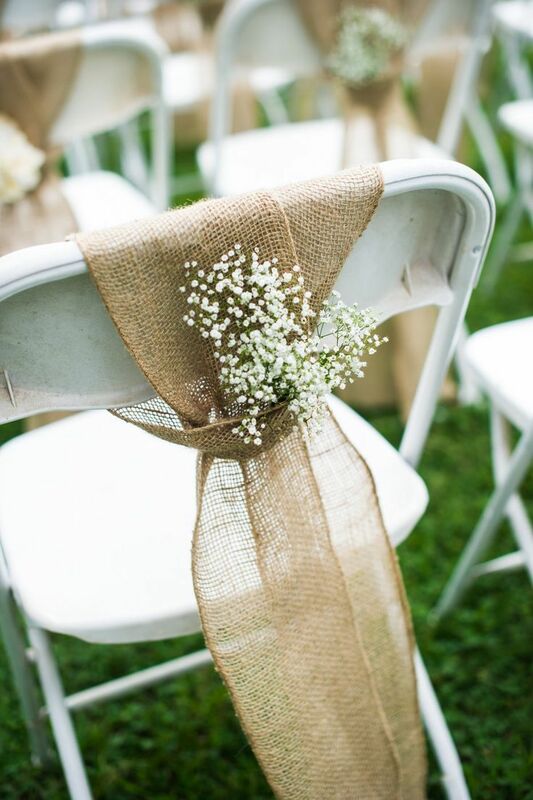 Just tie the flower around a piece of burlap and then put it on the chairs you’d like to decorate. We’ve seen so many home projects with mason jar, so why not use it for our weddings as well? Don’t be afraid that it will look like a cheap DIY craft, if done the right way your mason jar decoration can look so good and nobody would even get the impression of cheapness. So, for this kind of chair decoration you just need mason jars and flowers to put it. Instead of using ribbons for making bows, you can just tie a knot on the chair and let it flow. This would especially look good if there’s wind. It would make things playful, cheerful and depending on the colors you choose – it can be colorful as well. 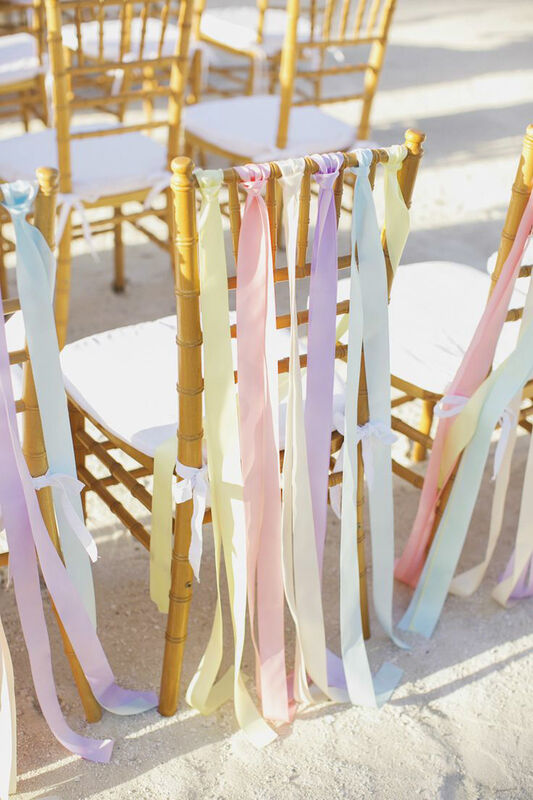 This type of decoration with ribbons is really budget – friendly and you can even make it yourself. One of the most elegant and romantic materials is certainly the satin. Add the pink color and you just come up with the ideal material for your wedding! 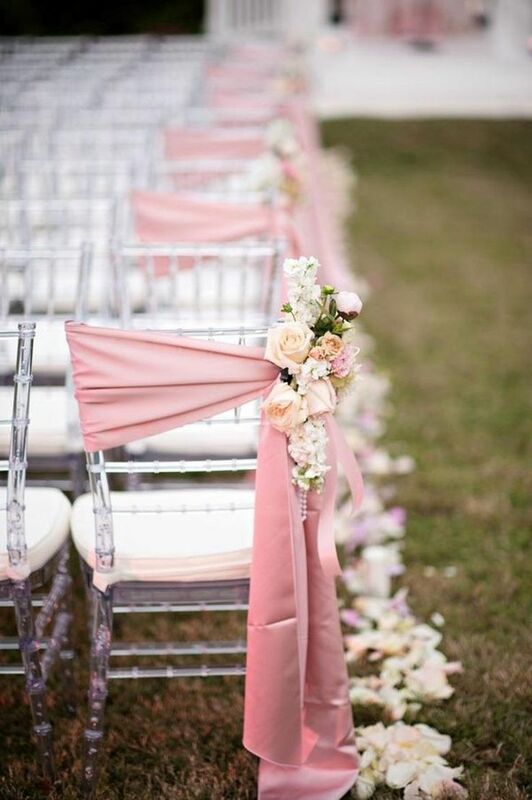 Creating an elegant, classy wedding is going to be so great with pink satin, especially if you add romantic flowers such as white or pink roses too. The rose is the flower that symbolizes love. It is the purest flower of this wonderful emotion and that’s why it is also the most popular choice for Valentine’s Day, birthdays, anniversaries, and weddings too. 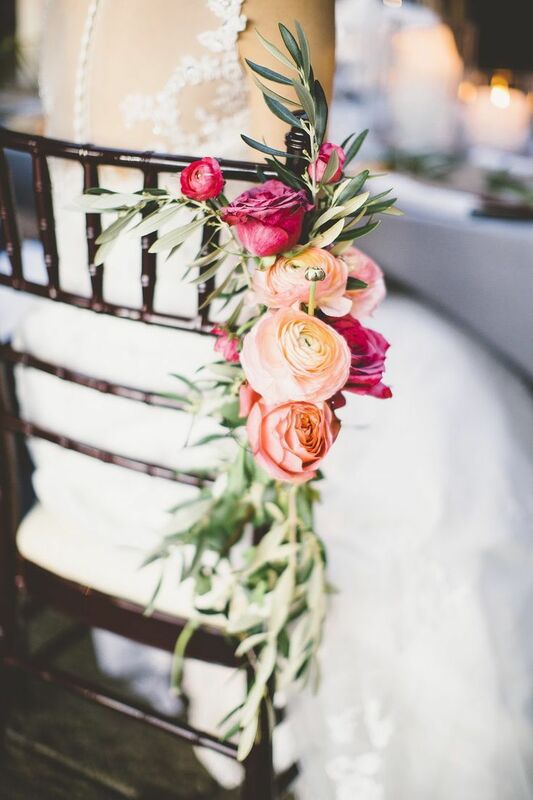 When it comes to your big day there are many options with decorating with roses – from using just the petals, to having huge bouquets on the tables, or in our case – decorate the chairs with these amazing flowers too. If you’re lucky enough to have your wedding somewhere by a sea or ocean, lucky you! 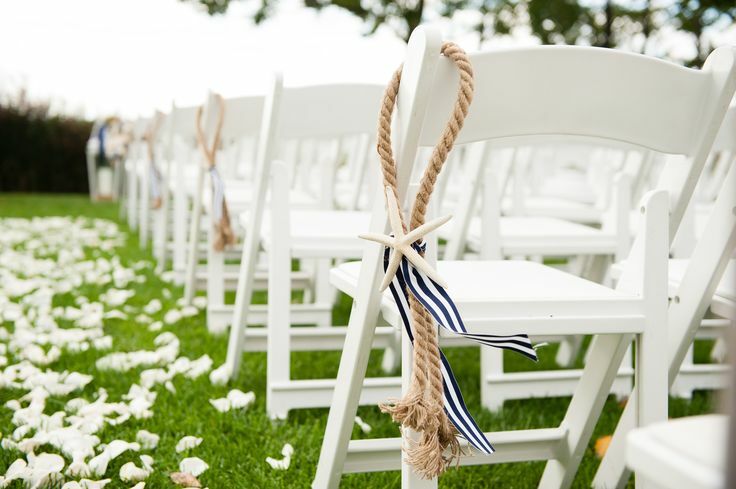 That means that you can decorate your wedding chairs with nautical items, such as rope, sea stars, sailor materials – to name few. Of course, if you are a big fan of the nautical, then you don’t need sea or ocean or beach to have the nautical wedding from your dreams! So far the decoration we’ve shown you were rather small, but if you want something big that would catch the attention of all the guests, then this is the type of decoration you should go for. Paper decoration are very popular and when done the right way, they look very cool and in this case – elegant. 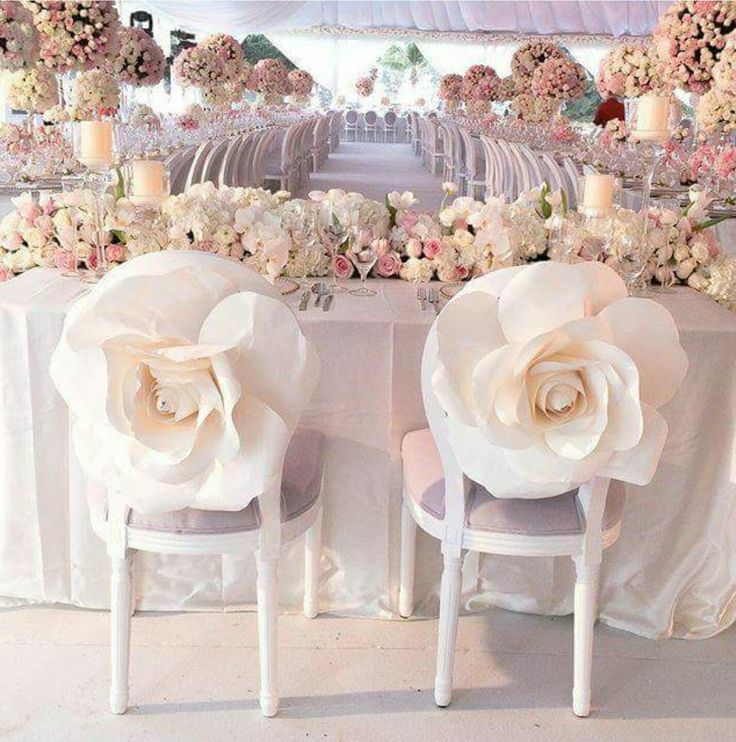 This kind of roses will make your wedding so charming! If you’re more into greenery instead flowers, it’s easy to bring this idea to life. This kind of decoration is simple, yet it’s very elegant and suitable for any wedding, especially the outdoors. Adding flowers can make things even more beautiful, so don’t hesitate to make place for few. You’ve heard about spring wreaths, fall wreaths, Christmas wreaths. 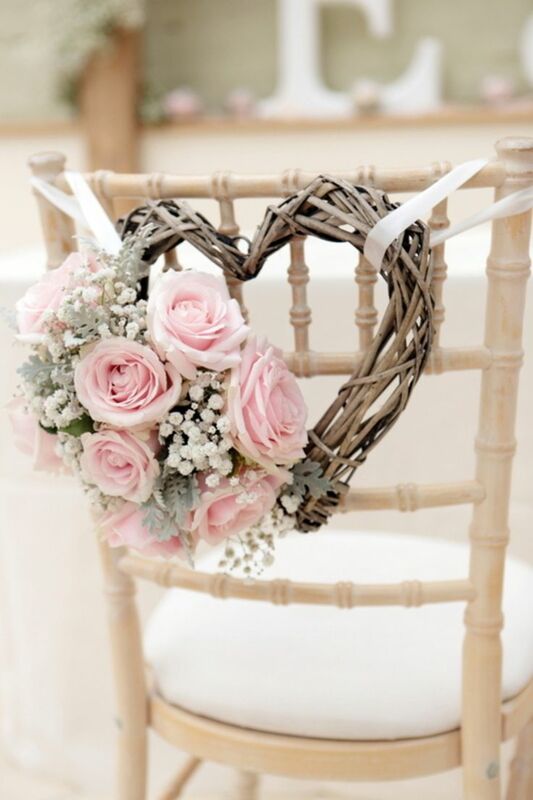 But have you ever thought about a heart – shaped wreath as your wedding chair decoration? 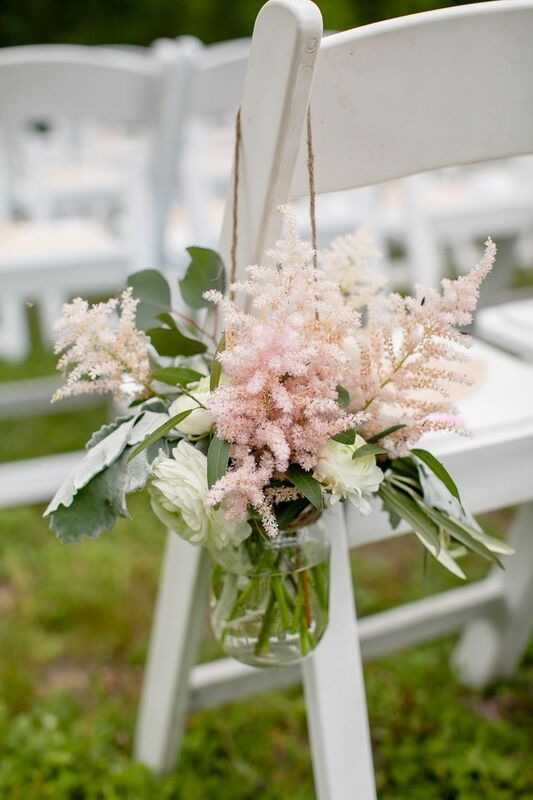 Imagine the twine along with beautiful mix of flowers, such as peonies and baby breath, or anemone and roses. It’s sweet and so chic!